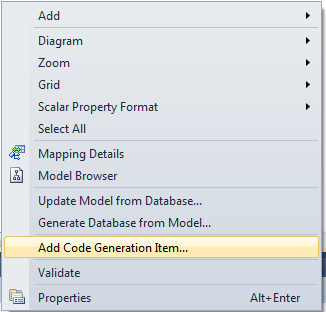 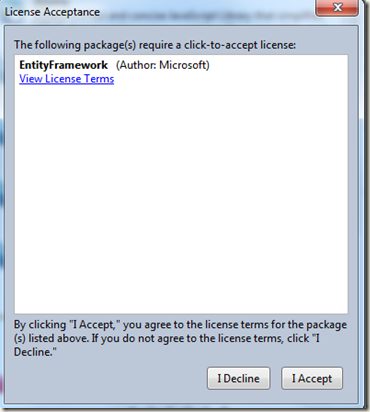 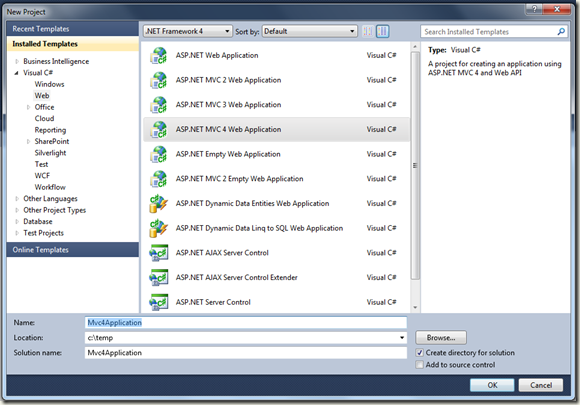 How to make Entity Framework 5.0 use an in-memory persistence DbContext instead of accessing the database. 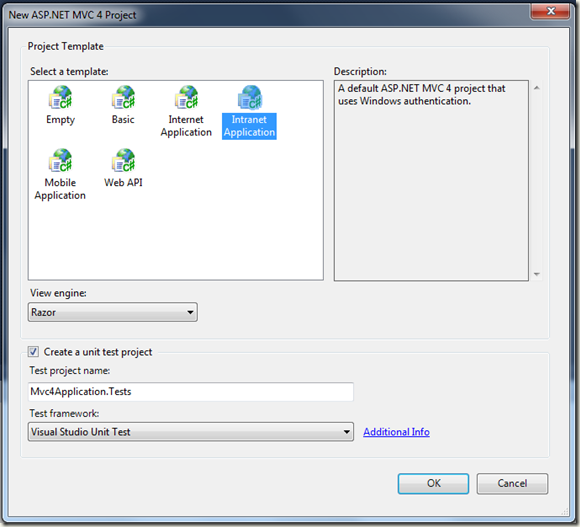 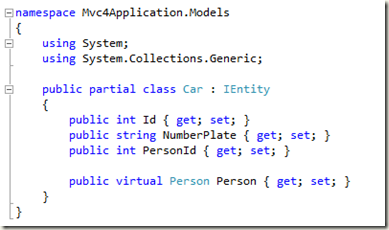 – Using a second level cache mechanism like http://www.codeproject.com/Articles/435142/Entity-Framework-Second-Level-Caching-with-DbConte , filling the cache before use and setting the expiration time to infinite. 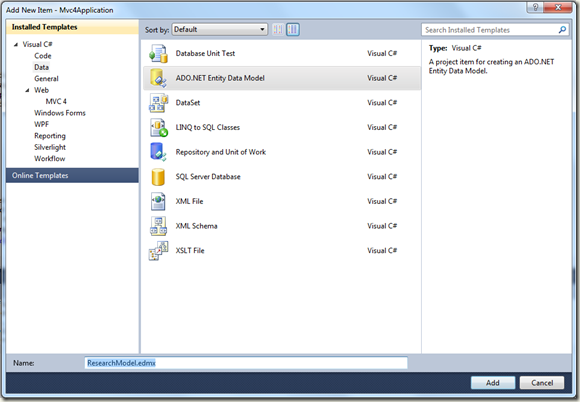 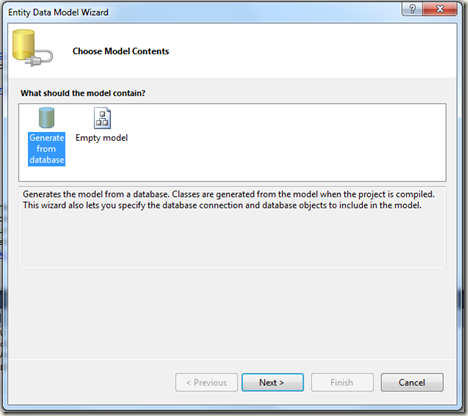 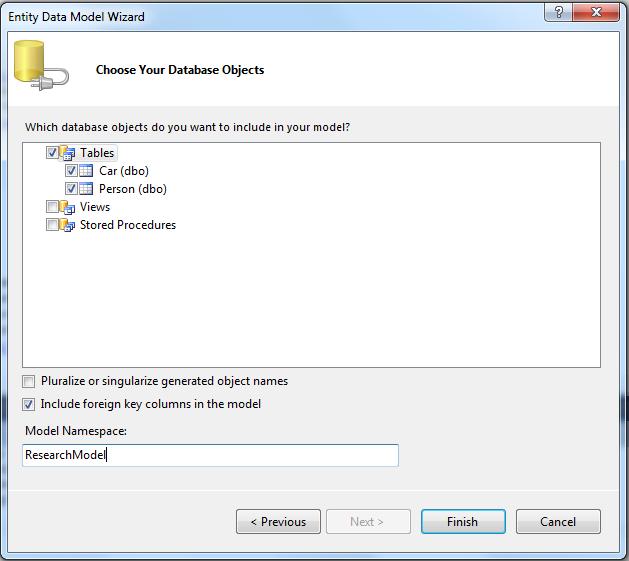 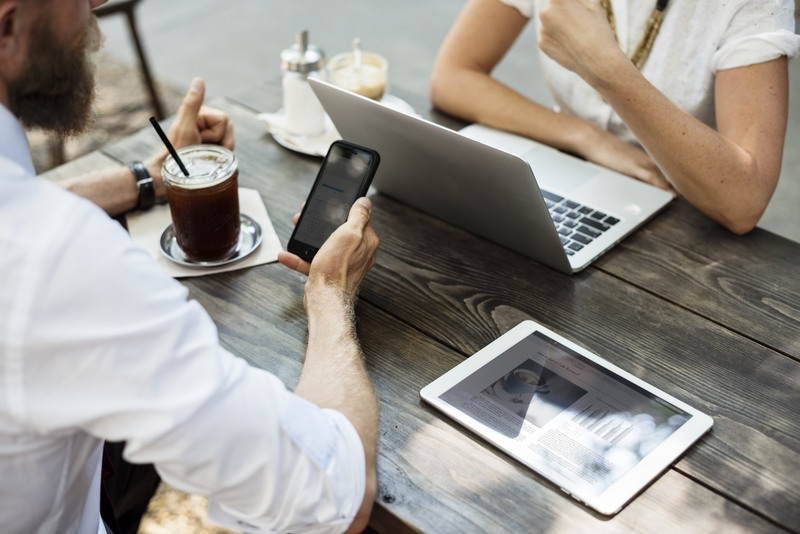 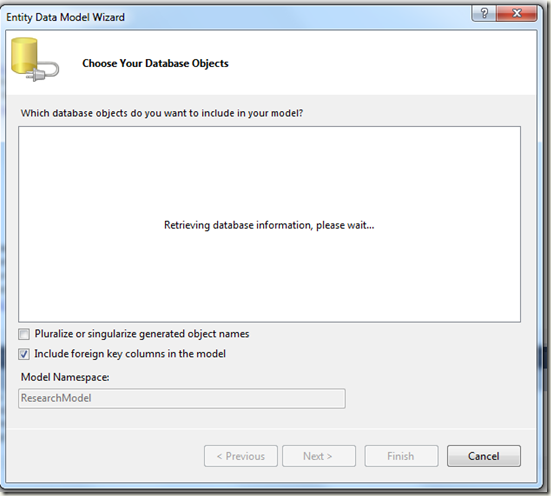 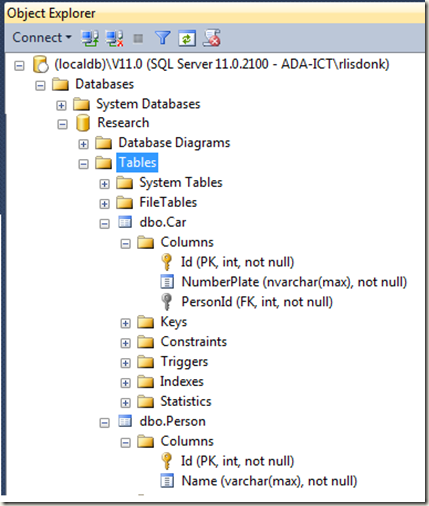 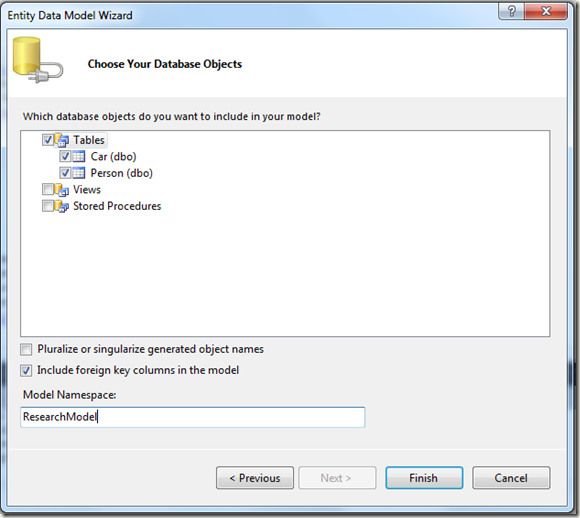 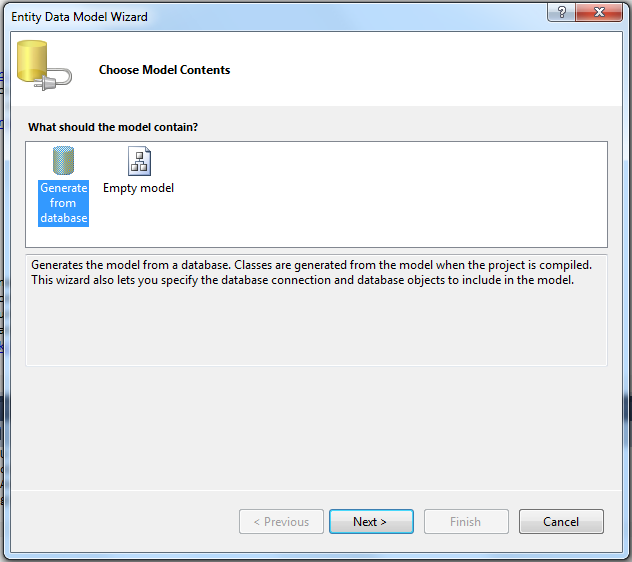 – Creating a extension method on the DbSet class that uses only the DbSet (for direct database access) or DbSet.Local for in-memory stub data, based on some parameter. 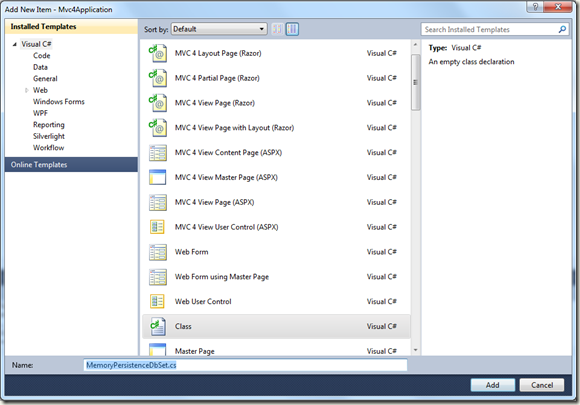 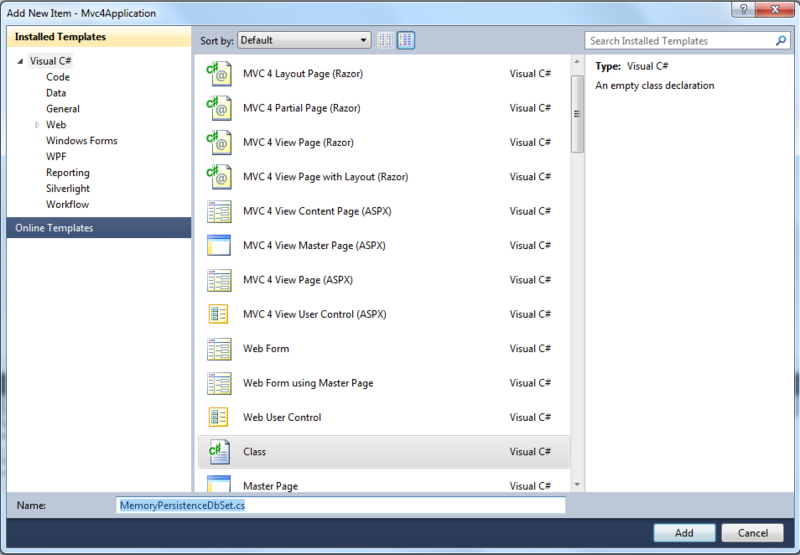 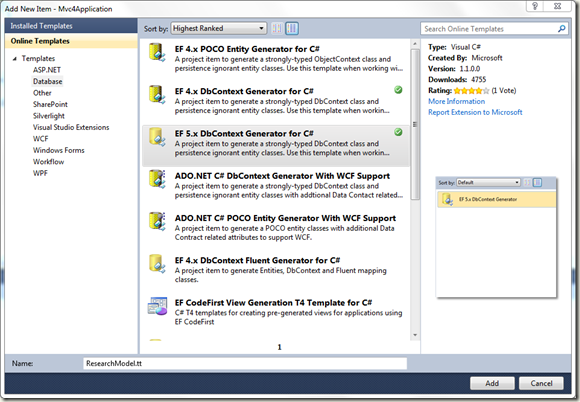 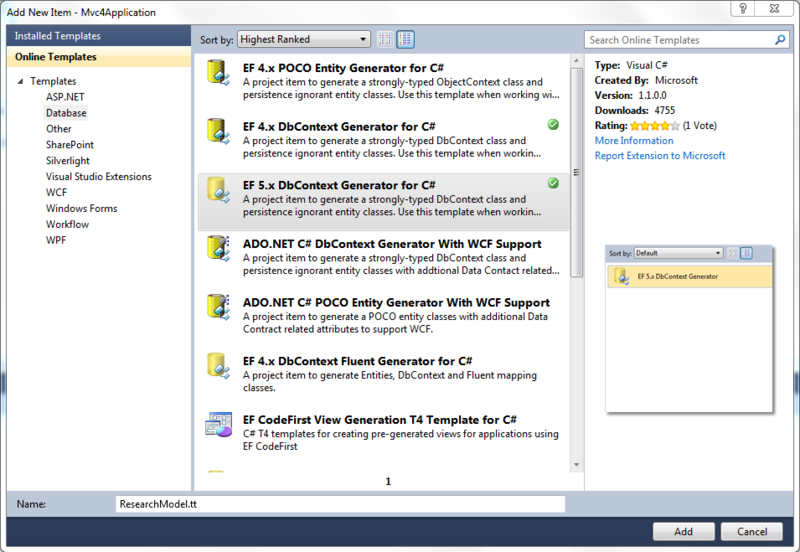 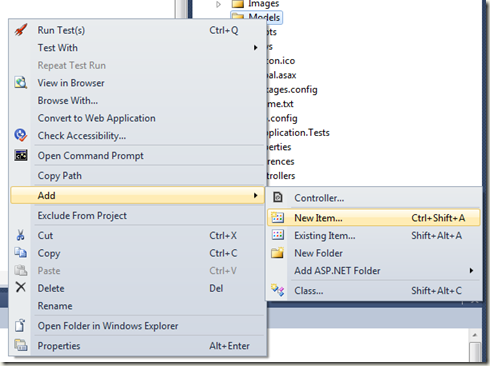 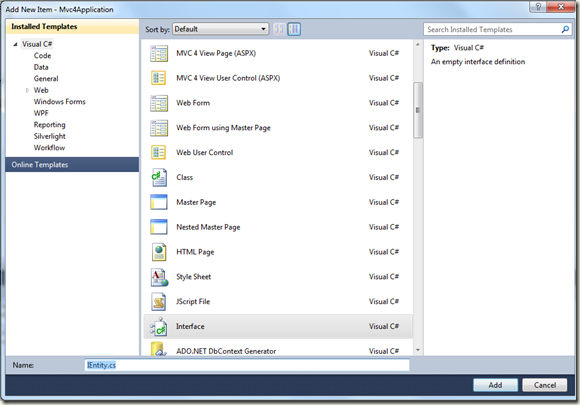 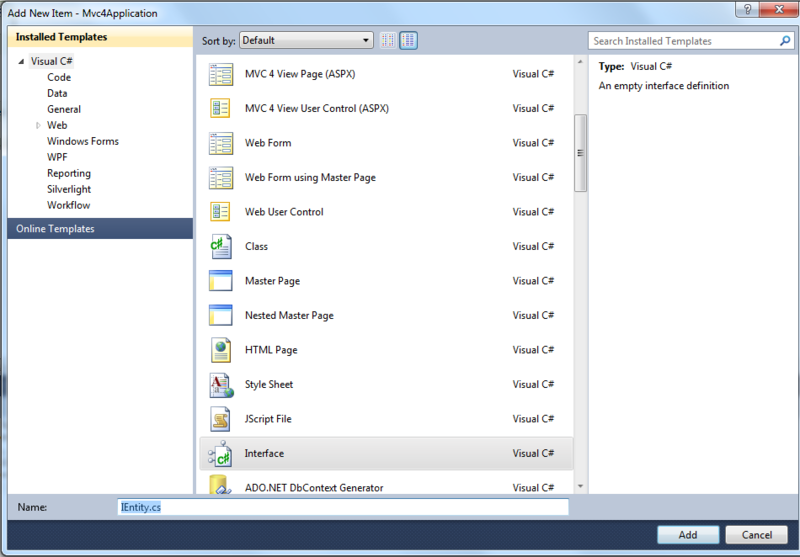 – Implement a MemoryPersistenceDbContext and MemoryPersistenceDbSet. 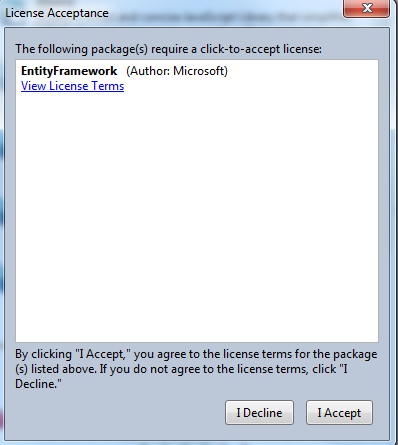 This post will focus on the last option. This interface will be used to make the Find function work. 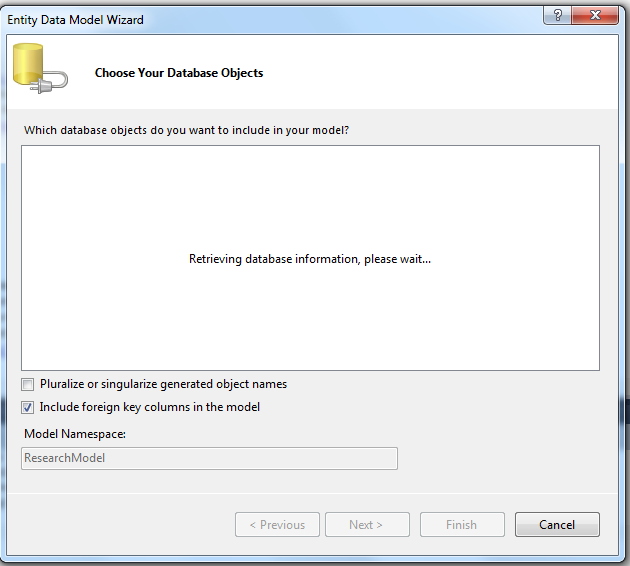 This will be used to store the data in-memory instead of in the database. 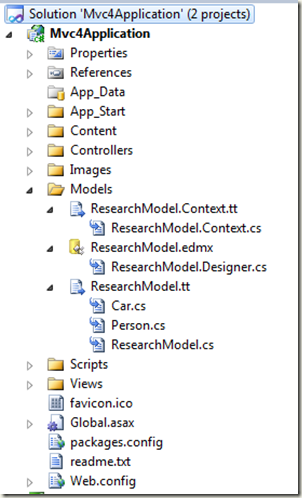 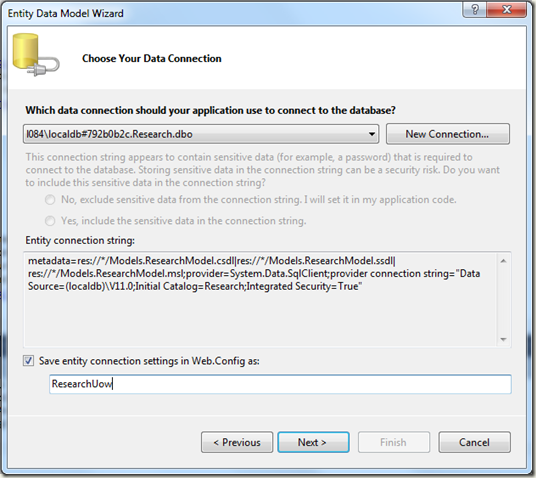 Change the ResearchModel.Context.tt file, so the IResearchUow interface, the ResearchUow class and the MemoryPersistenceResearchUow will be created. 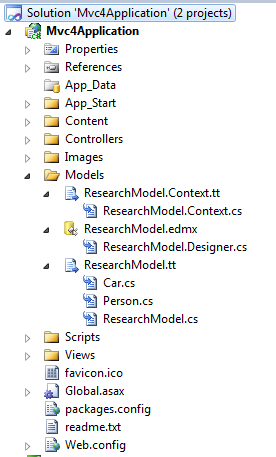 Every time you update the ReserachModel.edmx from the database or save the T4 templates ResearchModel.tt and ResearchModel.Context.tt, the T4 templates will execute and regenerate all POCO entities and the IResearchUow interface, ResearchUow class and the MemoryPersistenceResearchUow. 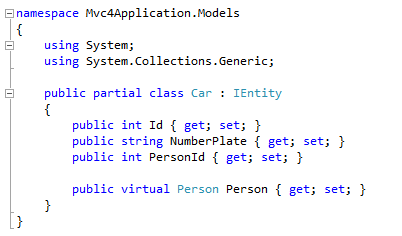 To prevent the code that seeds the in-memory UOW to be overwritten a partial class MemoryPersistenceResearchUow is created. 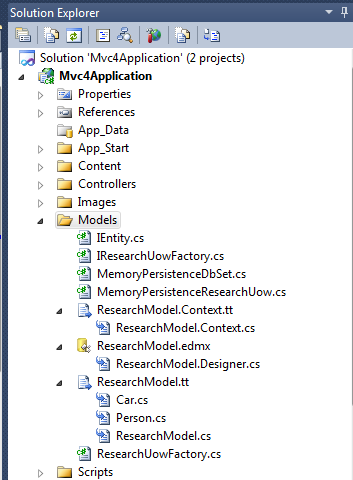 Add a IResearchUowFactory and ResearchUowFactory that will contain the logic to create a ResearchUow or an MemoryPersistenceResearchUow. 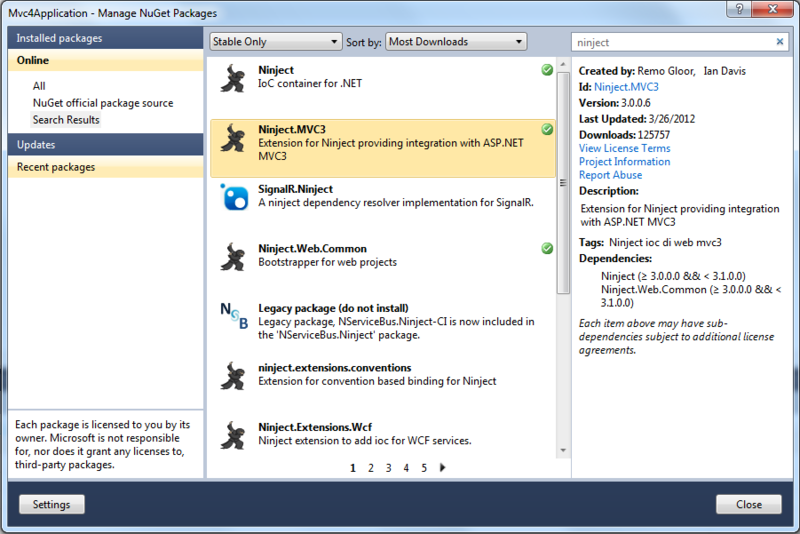 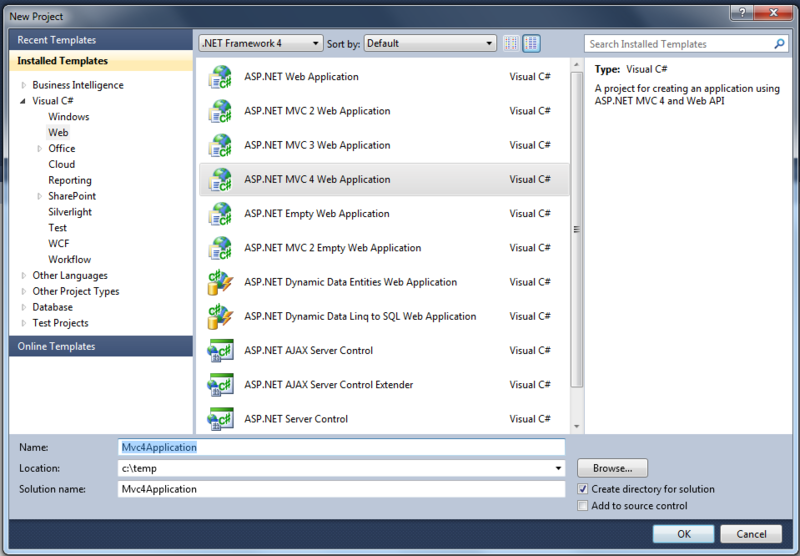 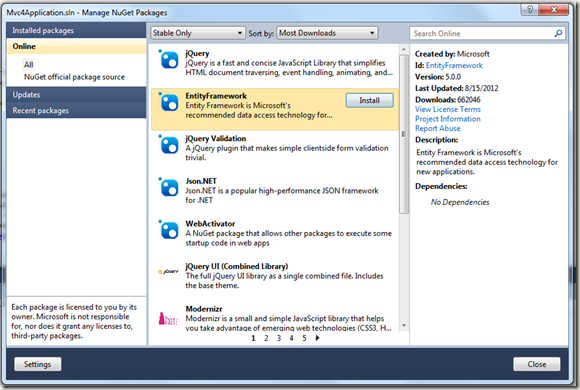 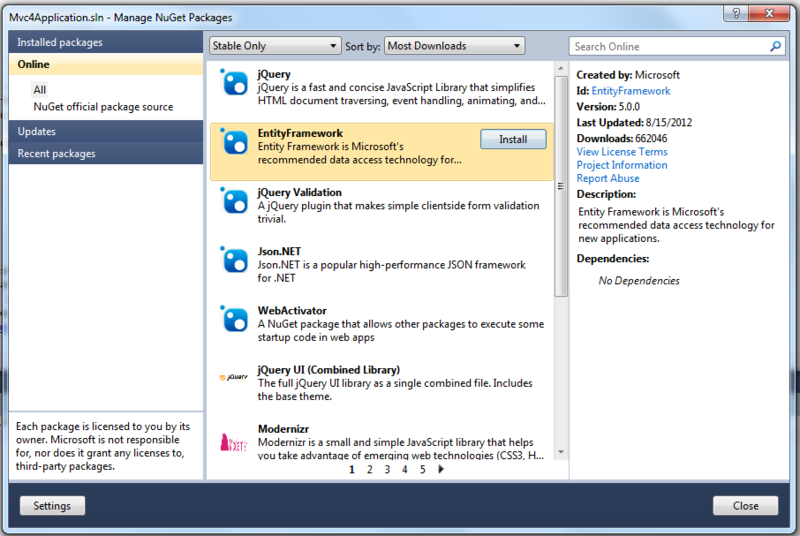 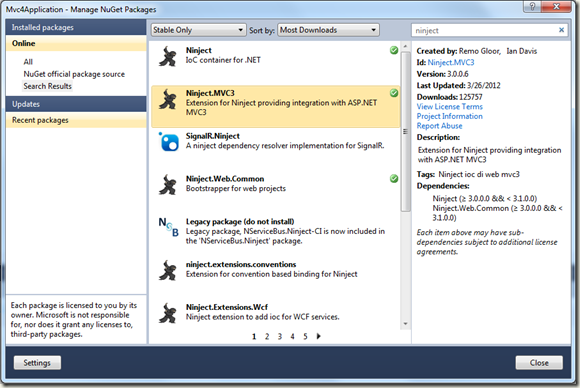 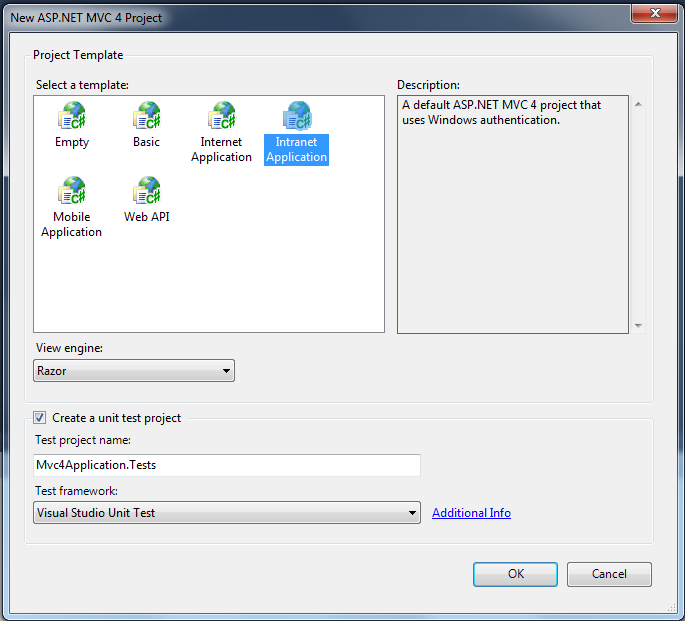 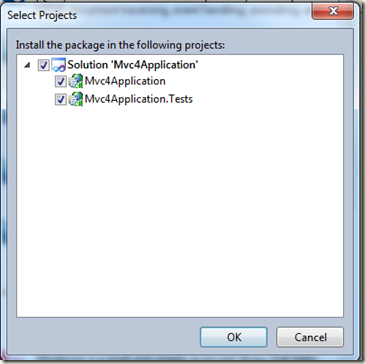 Install Ninject and Ninject.MVC3 (no MVC4 available yet, but works just fine) this will also install Ninject.Web.Common. 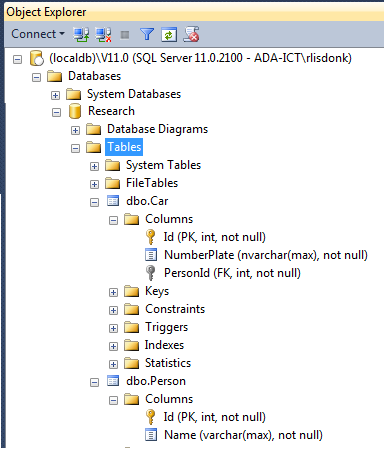 and not from the real database, because the database at this point is empty. 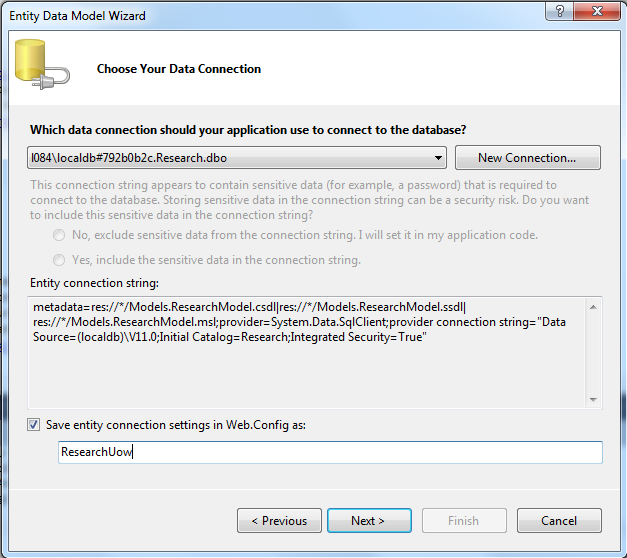 This proves we can switch using in-memory stub data or the real database by changing a appSetting in the web.config. 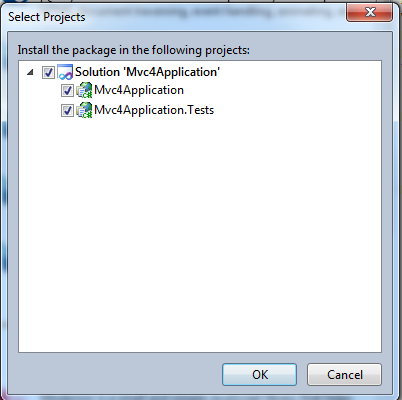 Don’t forget to fix the unit tests. 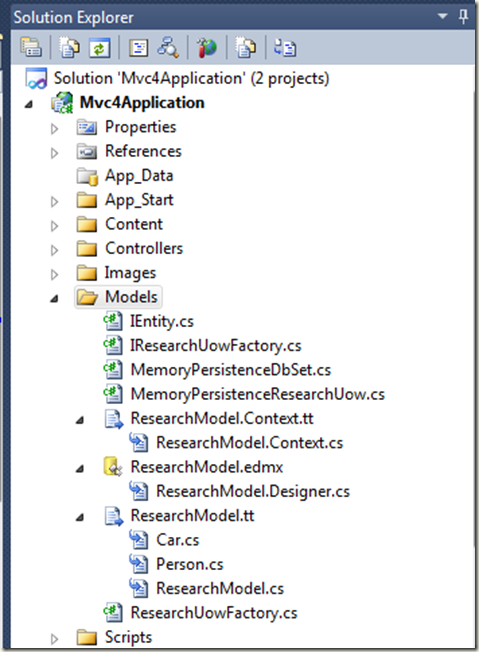 Now you are able to use the ResearchUow within your HomeController and switch between the MemoryPersistenceResearchUow and the ResearchUow by changing the appSetting UseStubs.